On Saturday, October 7, a memo from the Human Resources Interview Committee Chairperson Michael Cuozzo ’18 that was addressed to members of the Rensselaer Union Executive Board was leaked on Reddit. 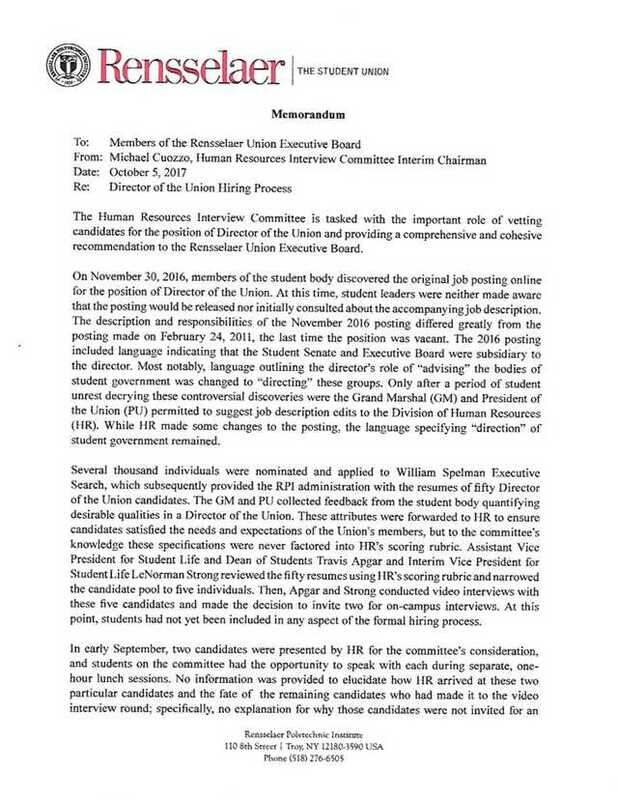 In the memo, the Human Resources Interview Committee decided that it was unable to provide a recommendation for a director of the Union candidate to the E-Board. The search for a new director was run through William Spelman Executive Search firm. 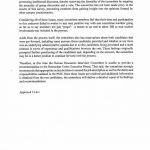 Several thousand applications were recieved, of which William Spelman selected 50 that were given to RPI administration. The grand marshal and president of the Union gathered student feedback and forwarded that feedback to the Division of Human Resources to ensure candidates were chosen that aligned with student interests. 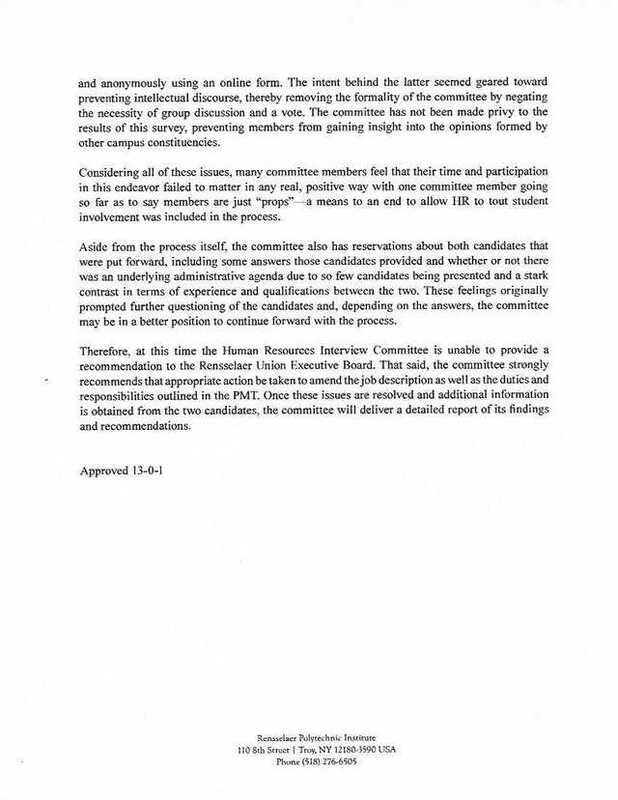 The memo states that, as far as the committee is aware, this feedback was never implemented into the HR’s scoring rubric, which is a tool used to rank the applicants. Assistant Vice President for Student Life and Dean of Students Travis Apgar and Interim Vice President for Student Life LeNorman Strong video interviewed five of the 50 applicants. Of those five, two were chosen and those two were the people interviewed by the committee. 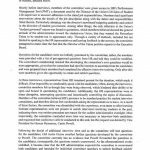 The memo states, “At this point, students had not yet been included in any aspect of the formal hiring process.” No reasoning as to how these two were the selected candidates, or what happened to the other three that were video interviewed, was provided to the committee. 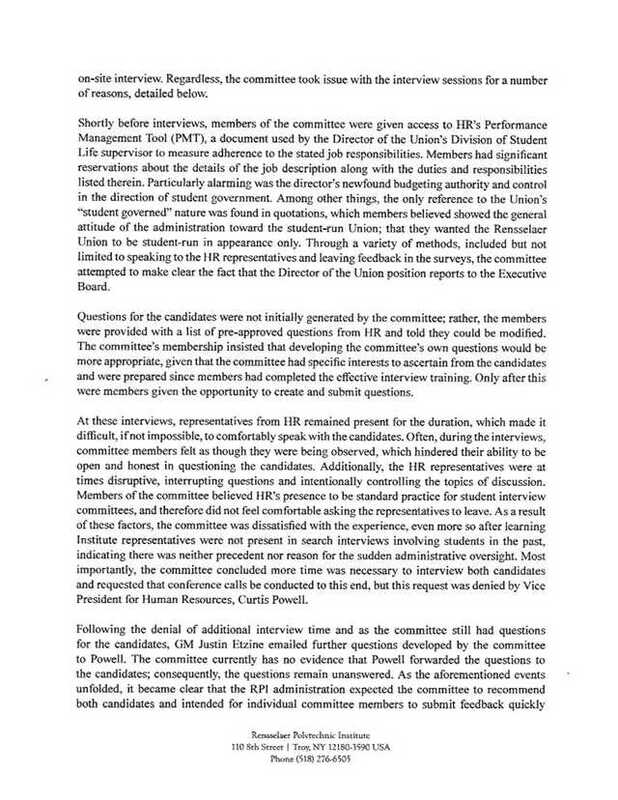 At the time, the committee members thought HR attending was a normal process, but it was discovered after the interviews that, in the past, representatives were not present for search interviews involving students. The committee also found that they needed more time to properly interview both candidates, and a request for a conference call was submitted. Vice President for Human Resources Curtis Powell denied this request. 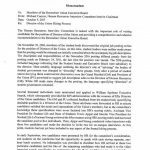 To the committee, “it became clear that the RPI administration expected the committee to recommend both candidates.” Some members also felt as if they were “props” and only there so that HR could “tout student involvement” in the process. The leaked Human Resources Interview Committee memorandum can be viewed below.